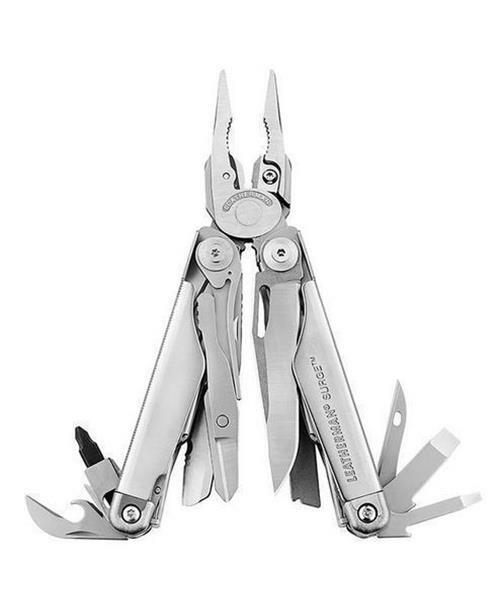 The Leatherman Surge is one of Leatherman'sr two largest multi-tools; a real powerhouse, built with their largest pliers, longest multi-tool blades and easy-to-use locks. A unique blade exchanger, replaceable 154CM wire cutters and four outside-opening blades give you quick access to the tools you use most. The Surge was built for tough jobs and the hands that do them. * 420HC Stainless Steel: An improved, high-carbon (HC) form of 420 stainless steel that works well with high production tooling. 420HC's strength is optimized in Leatherman multi-tools by heat treatment. * Black Oxide: Black oxide is a powder-based metal coating. Ideal for situations where giving away a position would be costly, it is widely used by the military for its effectiveness in reducing glare and reflection.